The LSA is pleased to announce the publication of the newest title in its book series partnership with Routledge. 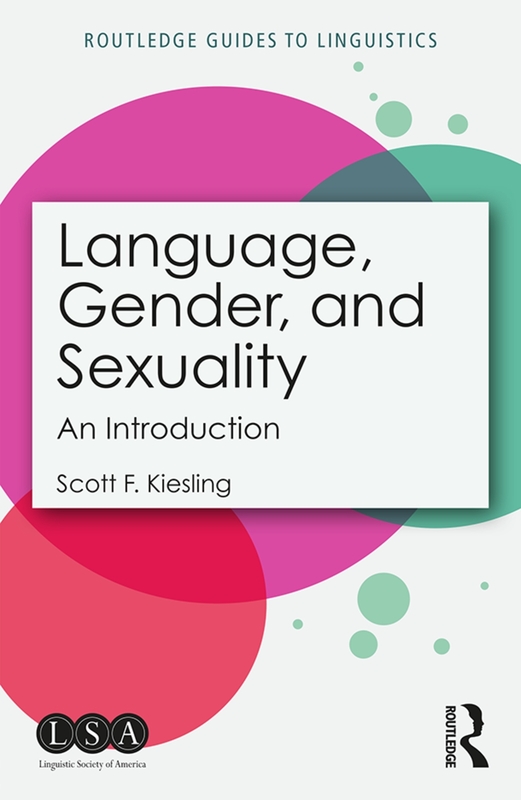 Language, Gender, and Sexuality, authored by LSA member Scott F. Kiesling, is a beginner's guide to the relationship between language and gender. A portion of the royalties from the sale of this book benefit the LSA. Order your copy today. The book starts with a brief overview of how language is study and then moves into an introduction to gender and sexuality. The author then ties these two topics together with a chapter that covers the most prominent research done on language, gender and sexuality. Once the concepts have been clearly defined, Kiesling provides the reader with a chapter on how language patterns are related to the social categories of gender and sexuality. The author then explores the relationship between language and identity and considers how individuals interact with others and how they use language creatively to demonstrate gender and sexuality. In the final chapter, the author ties the previous chapters together by relating language, gender and sexuality to the social world and our everyday lives. This book is useful for readers with no background knowledge in linguistics or gender and sexuality and who need a clear introduction as a starting place for their research on these topics.